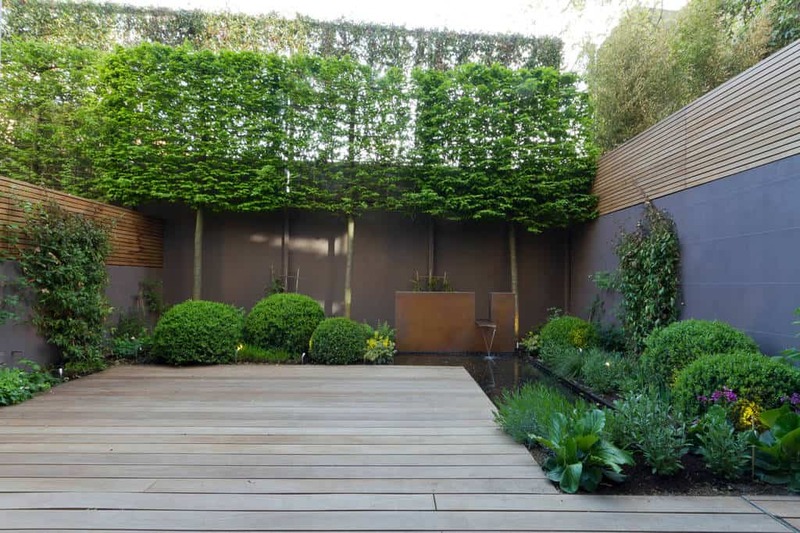 Designing the landscaping around your home is a huge undertaking. You want to ensure that everything is just right because it is an area that you and others will see often. You want the style to be something that matches the design of your house as well as something that reflects your personality. 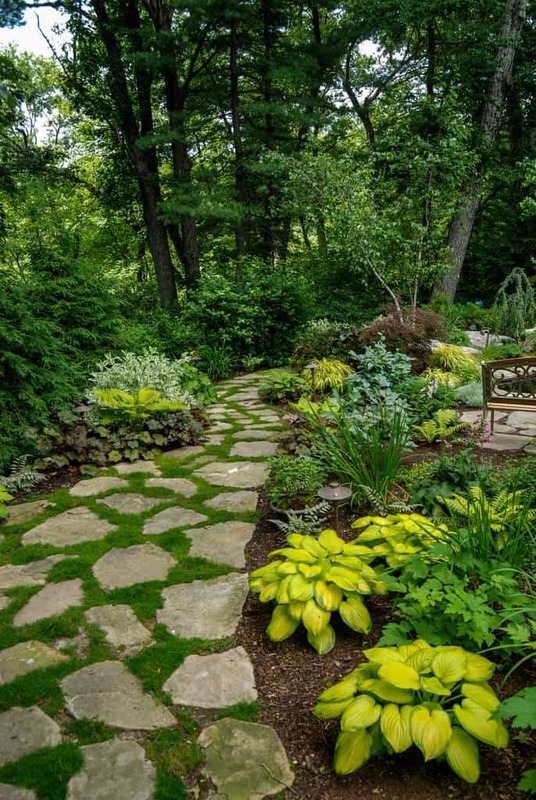 There are so many options open to you when you begin your landscaping. Do you want a more natural look or something that is organized? How much space do you have to work with? We want to help you come up with some ideas. 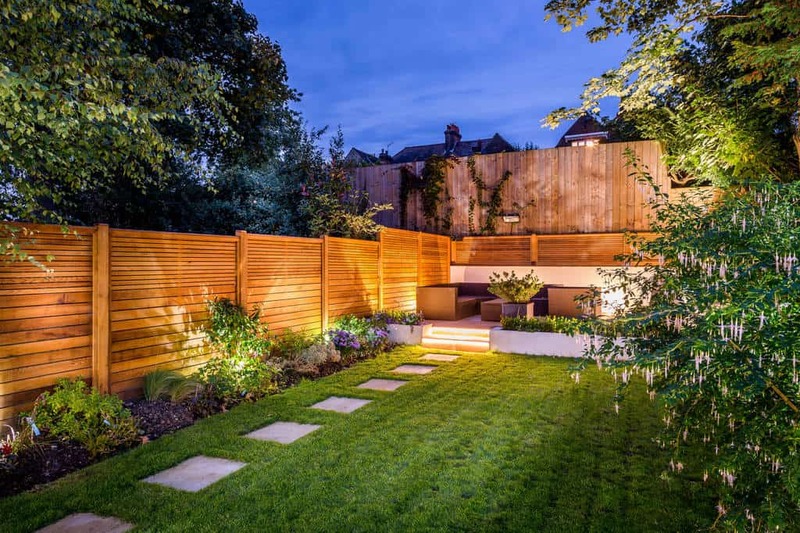 Below, we have gathered 34 landscaping design ideas for you to look through. See if anything stands out. 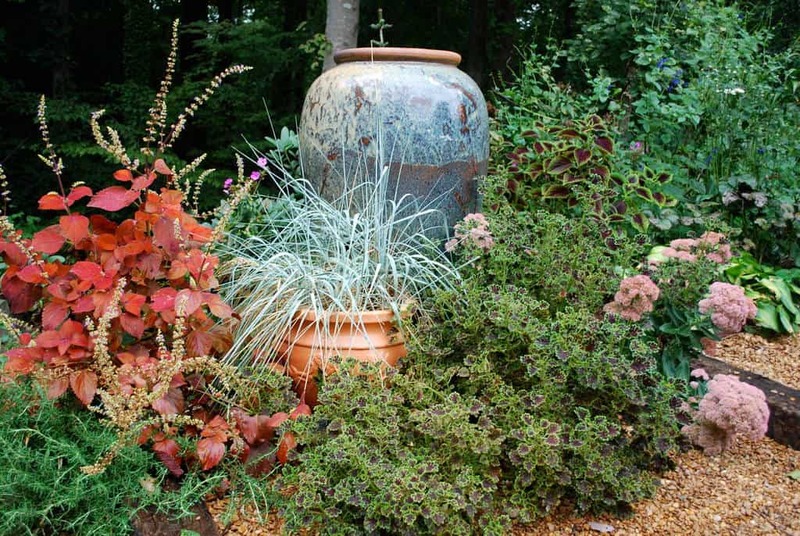 Putting a variety of plants in once space with stylish pots to go with them can really make the landscaping look great. It doesn’t have to be organized and in a straight line all the time. This yard is surrounded by a beautiful wooden fence and the yard is well maintained. With this great lighting, it makes for a relaxing area. 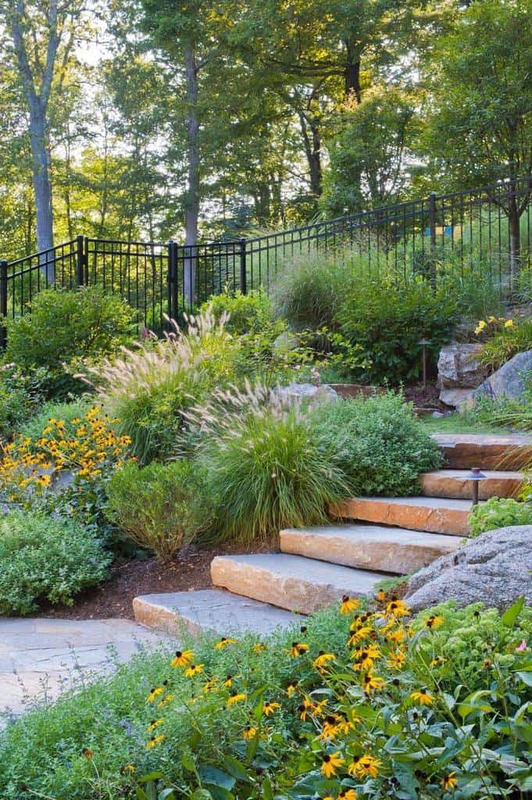 These stone steps are surrounded by great plants. This is a walk you will love taking every day. 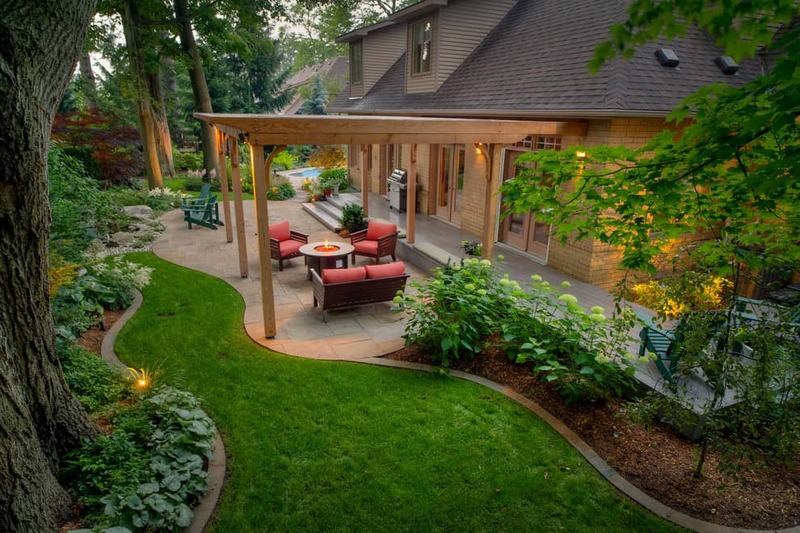 You can get creative when you design the walkway through your yard. 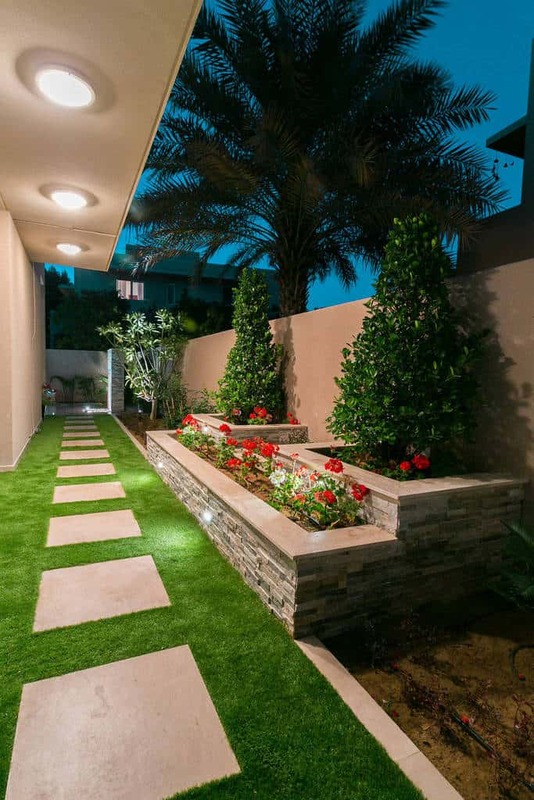 These stones make the area beautiful and help create a charming space. Photo by Paul Hendershot Design, Inc. 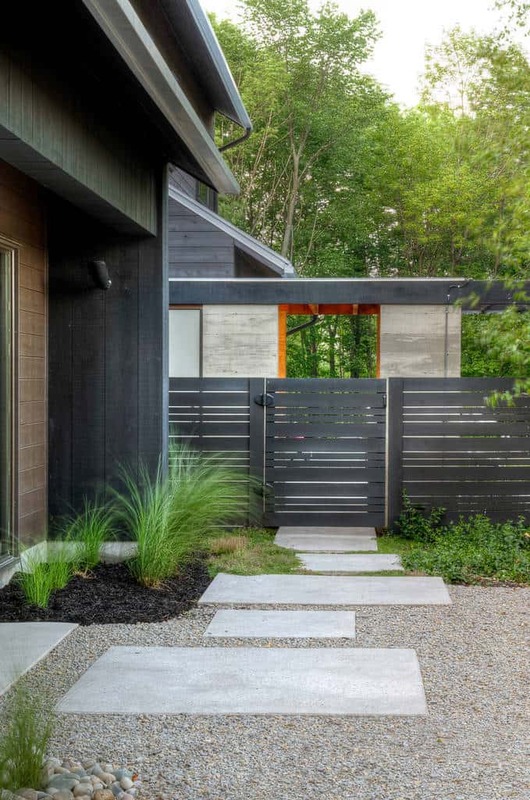 Create a modern rustic look in your yard. 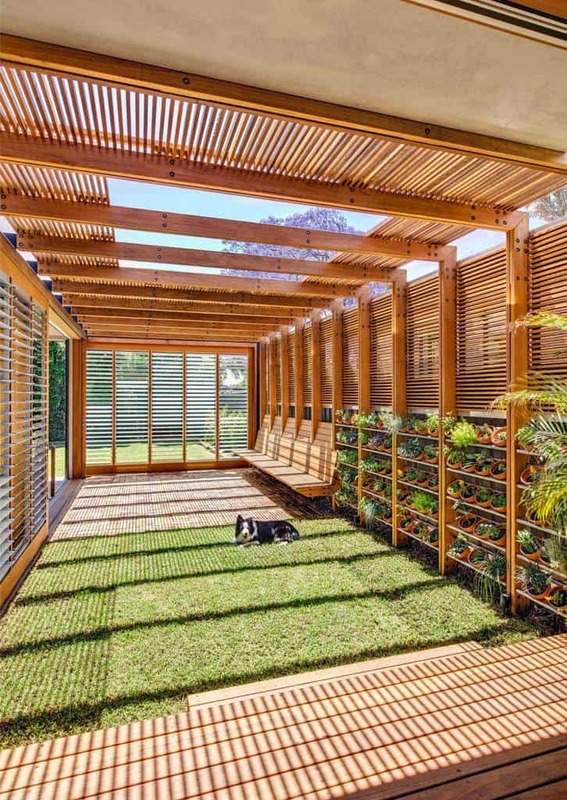 You don’t have to have fancy fences and plants to make an outdoor space wonderful. This is a traditional and beautiful space. 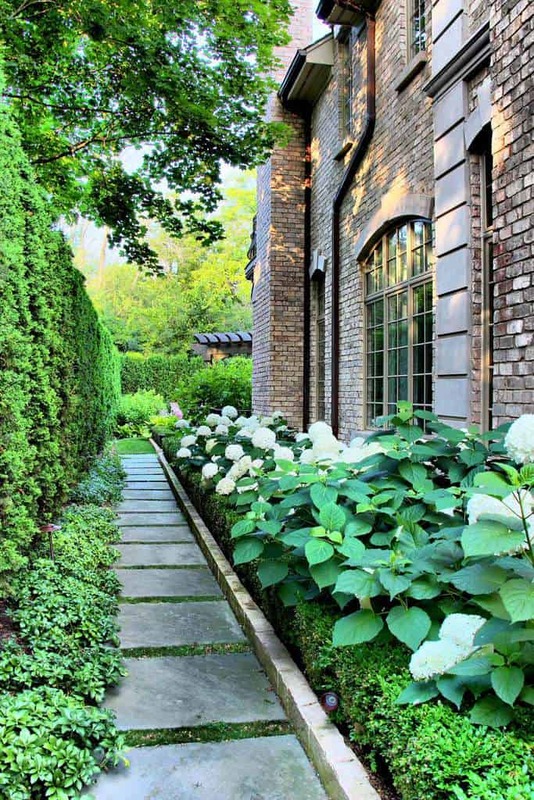 The green on either side of the this walkway is well planned and grown to match the wonder of the house. When you have a space like this, you should take advantage of the look brought by the stone walls and stairs. Design around it have your own private garden. 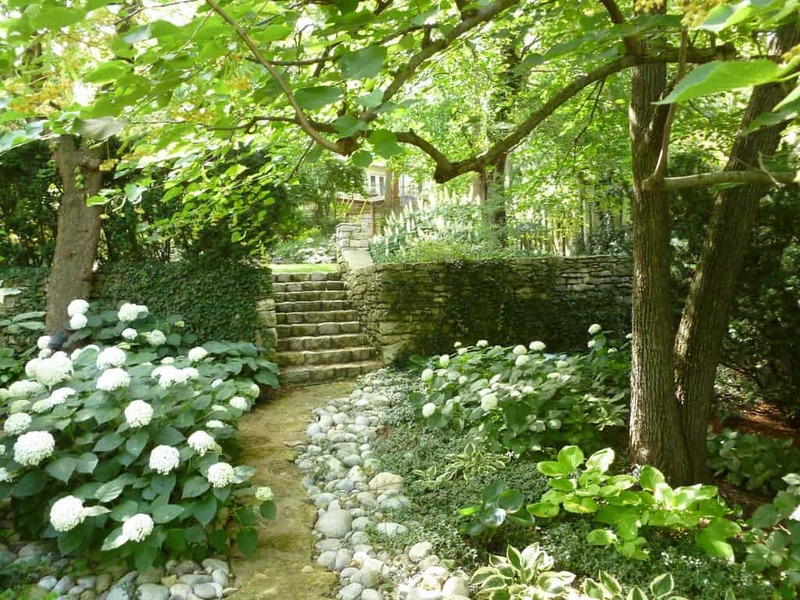 This cozy space has a wonderful walkway and a great raised stone flower bed. Even in a smaller area, you can have everything you need. 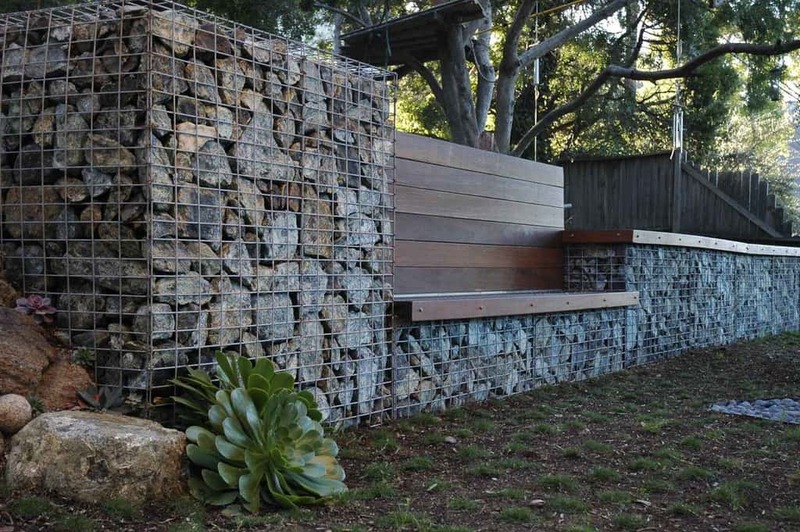 A gabion style stone area is an easy way to create a space that looks great and will last. 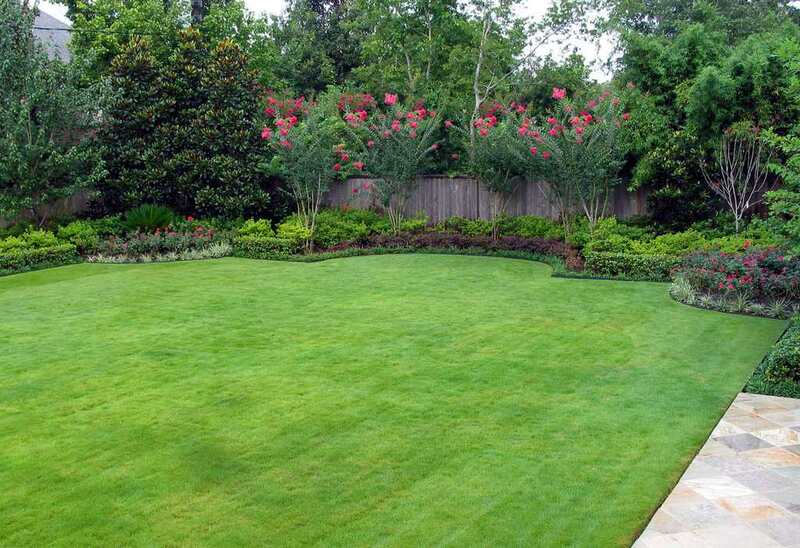 This yard is landscaped well. 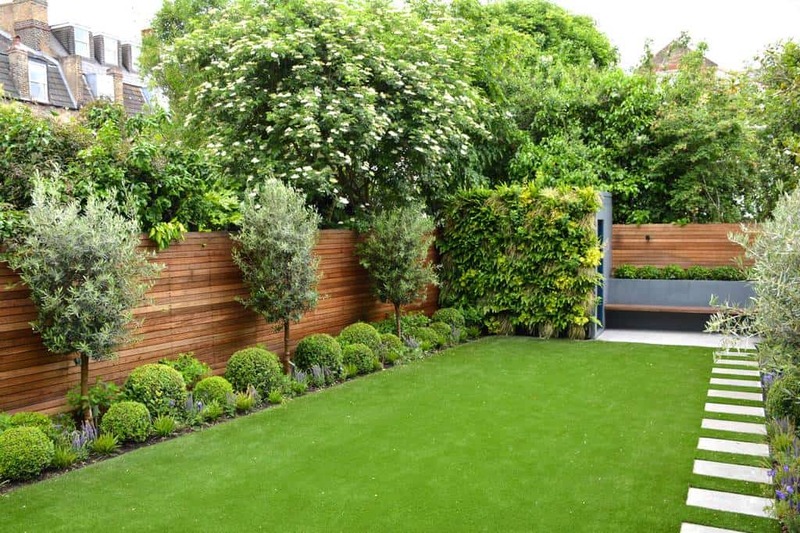 With a good variety of trees and plants to surround the green grass, you will enjoy the privacy of this space. Why have normal steps when you can get creative and do something like this. With this more natural look, you create a very aesthetic look. Whatever your reasons are for using gravel, whether grass won’t grow or you want less maintenance, you can make it look great. This area can host many meals outside. These decorative plants look fantastic. When you use mulch like this, the plant colors really stand out better. 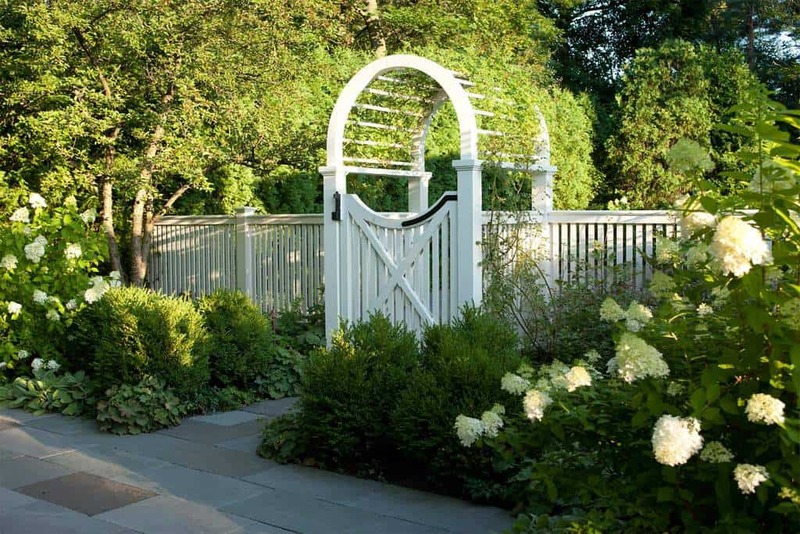 The area leading up to this archway features some beautiful landscaping. With a natural look and wonderful white blooms, you will always love this calming space. The sunshine still gets to shine into the great area. 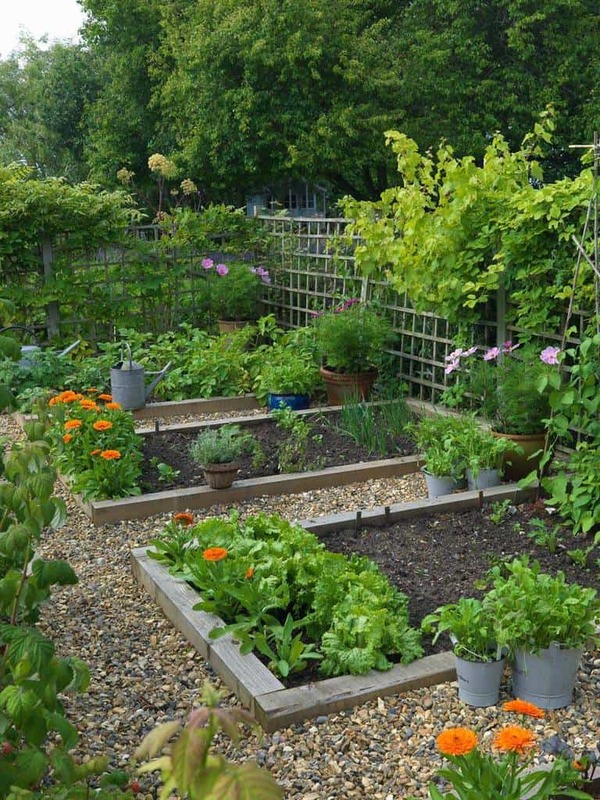 Gardening upward like this allows you to easily maintain all of your plants. Photo by Partridge Fine Landscapes Ltd.
From the patio to the curvy yard, this designed landscape has a warm style will have you wanting to host many nights of fun for family and friends. It has both a natural and a planned look that works well. The large stone brings character to this colorful yard. 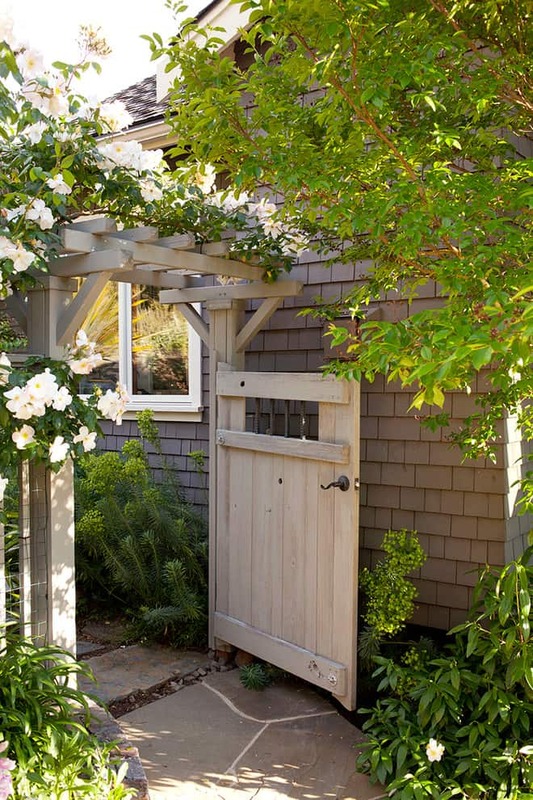 With a cracked stone design walkway leading to this country style door, this plant life is allowed to grow up and over. 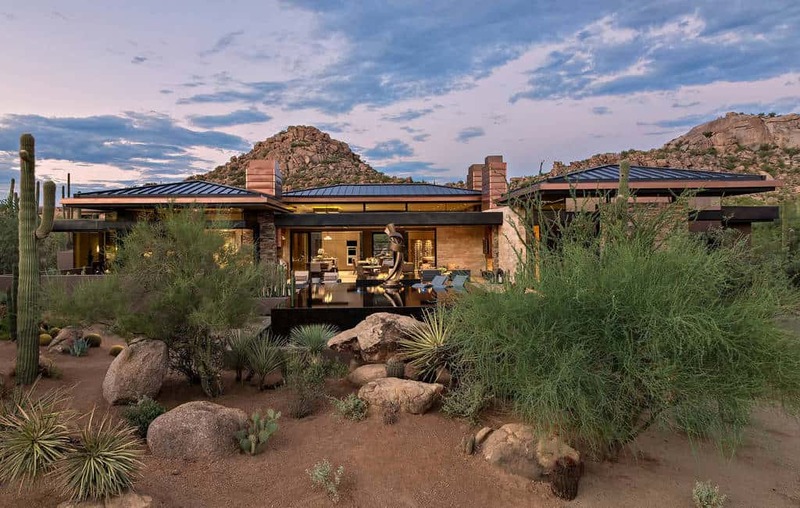 With a Western style area, landscaping may be a bit different. You have to rely on the plants that will work where you live. 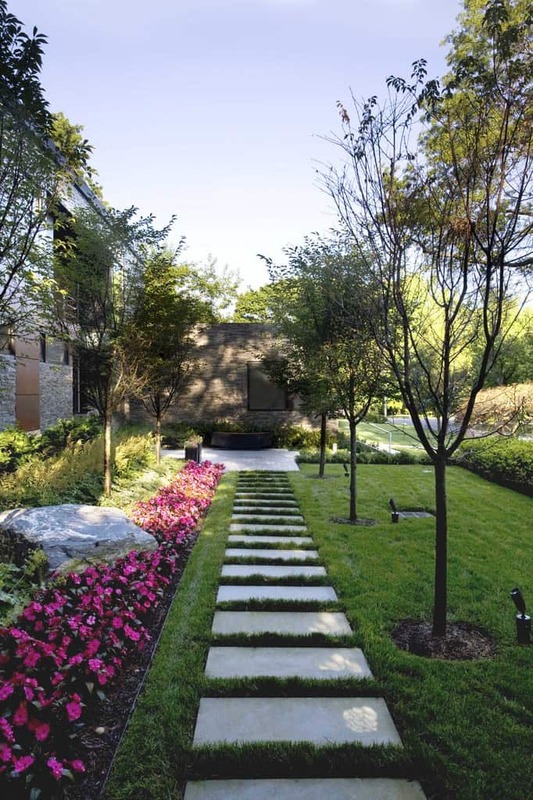 This landscaping allows for a natural look. 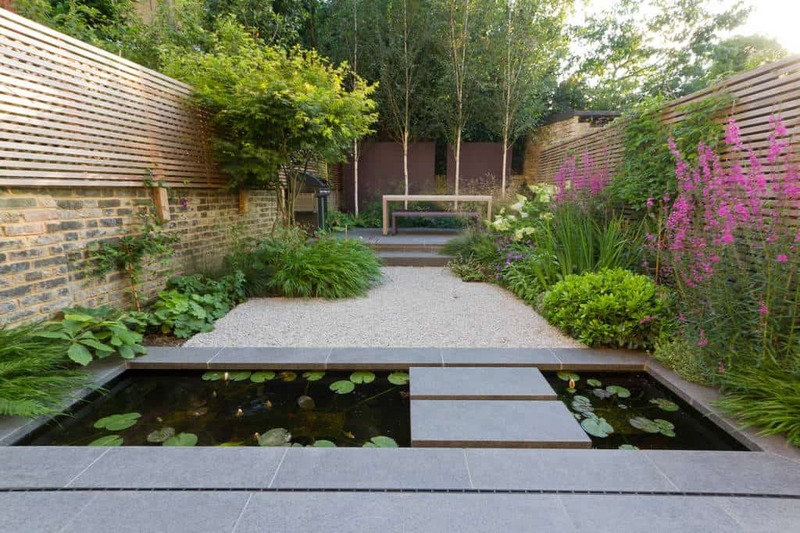 This is a great design for a pond. It wraps around this space and plants surround it. This is a relaxing environment for you to go to each day. The calm lighting shows off the modern architecture. 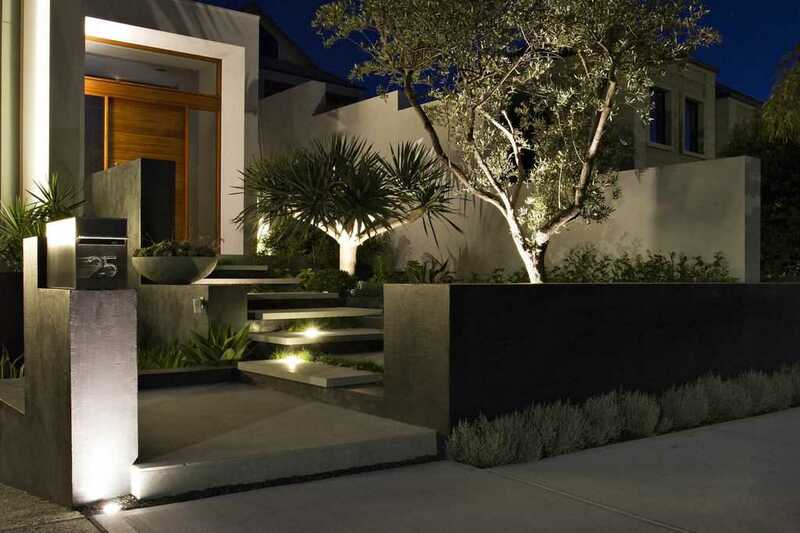 With stylish plant life built in, this is a wonderful welcome to a beautiful home. 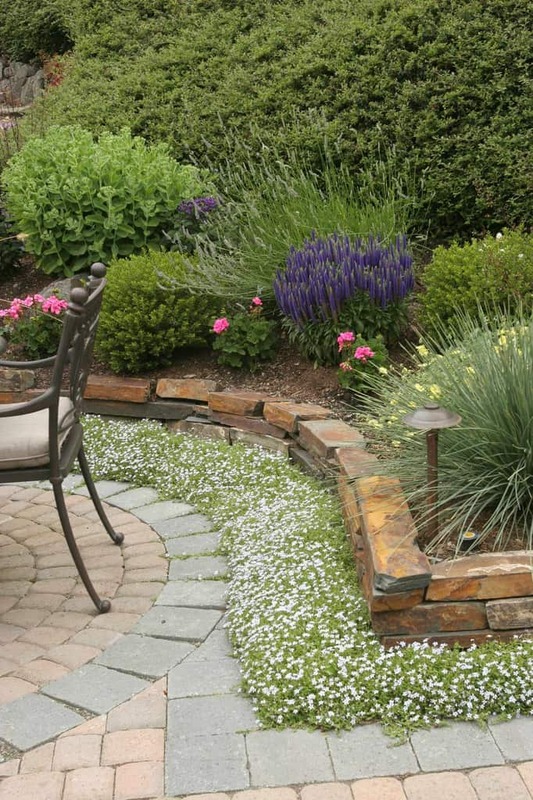 As a good looking alternative to soil or mulch, you can use gravel to top off your garden bed. It creates a great contrast with the plants. 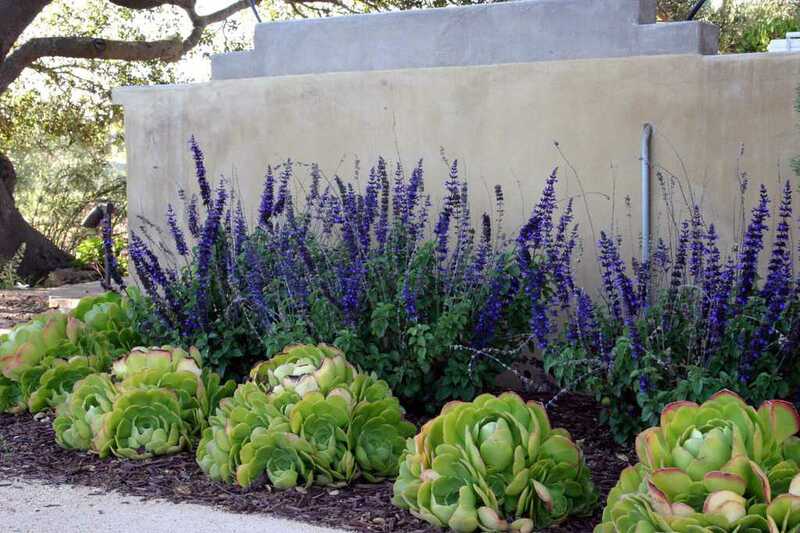 Stone walls don’t have to be high to look great. 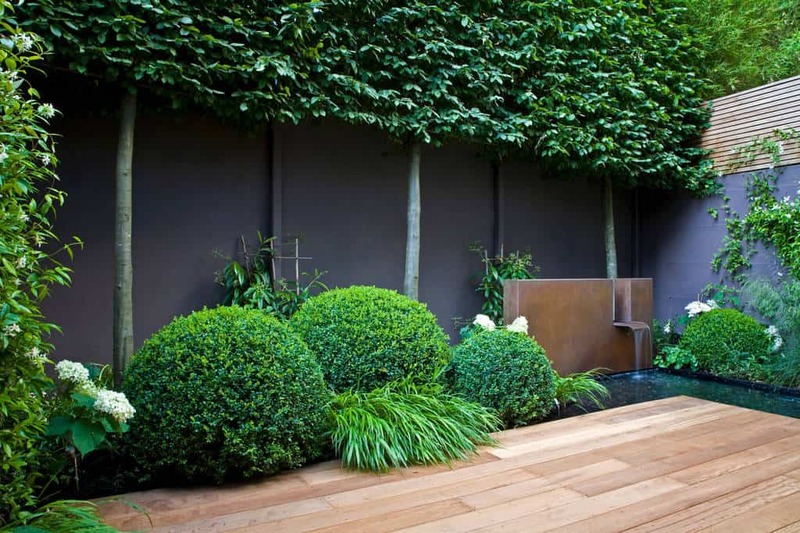 This one outlines the garden bed and brings character to this landscape. 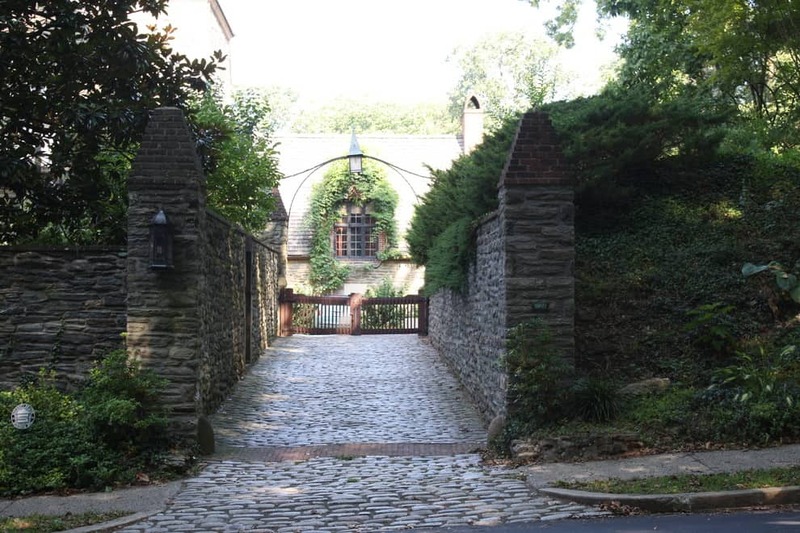 The old-style cobble stone driveway has a classic look. Having natural looking plant life around it makes for great landscaping. With a wonderful pond in this private area, this is a place to come for peace. 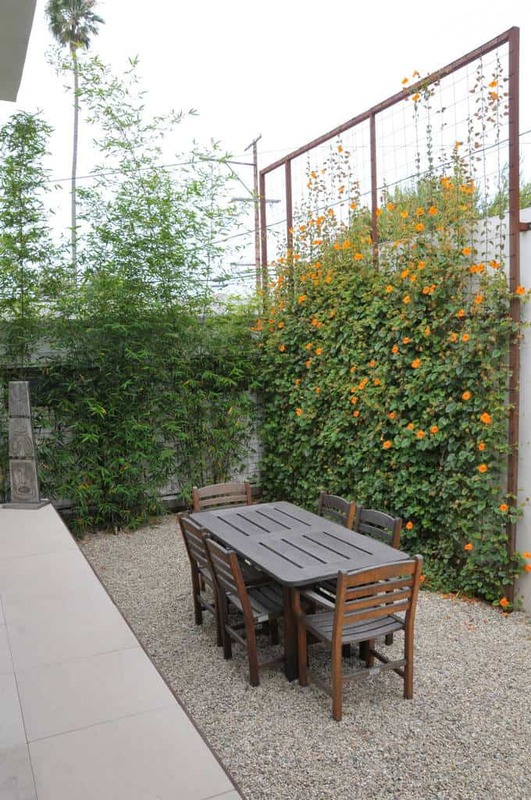 With great plants placed all around, you will enjoy your time here. You will enjoy the sound of the fountain falling into the pond here as you marvel at the well designed and laid out plants. 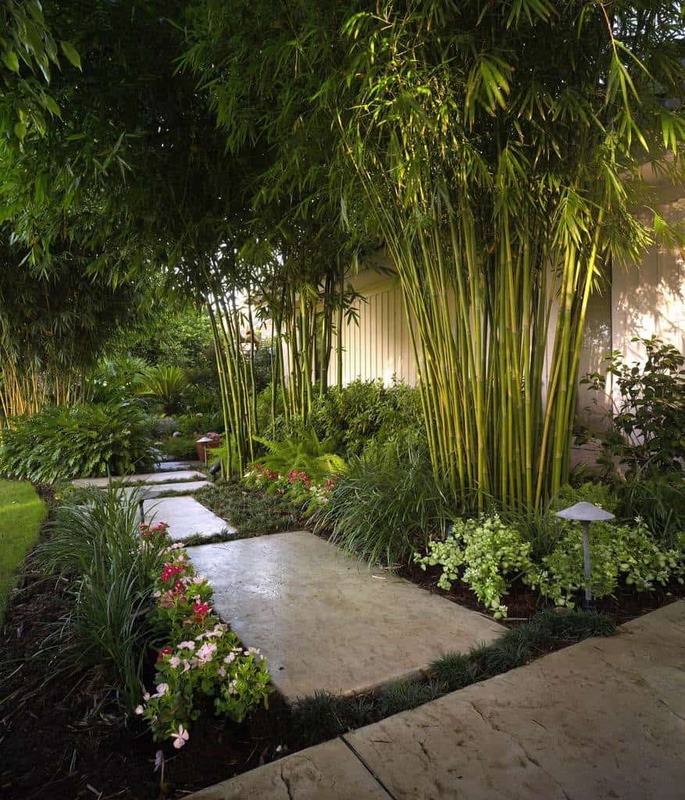 These clusters of bamboo create a great effect in this space. They provide a great starting point for the rest of the plant life. Photo by David Morello Garden Enterprises, Inc.
A well maintained area of grass surrounded by beautiful plants and flowers is always a great way to go. 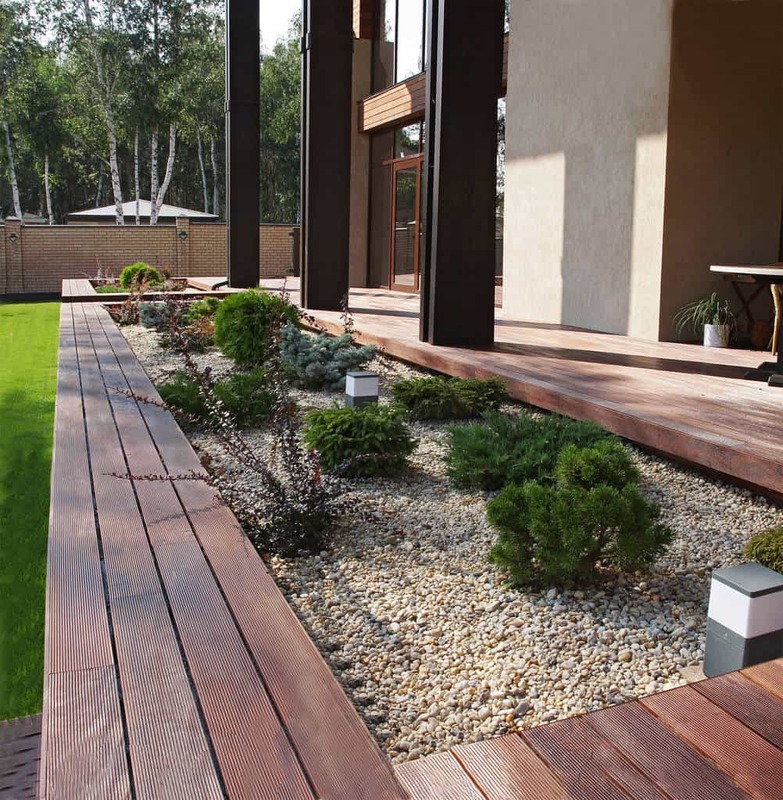 These garden beds feature a gravel space for you to walk around as you keep everything in order. You will enjoy your gardening time here. There is nothing complicated about this space. The gravel looks great, especially when contrasted with the darker mulch. Photo by Deborah Cerbone Associates, Inc. When you have a house like this classic one, make sure the landscaping is just as elegant. 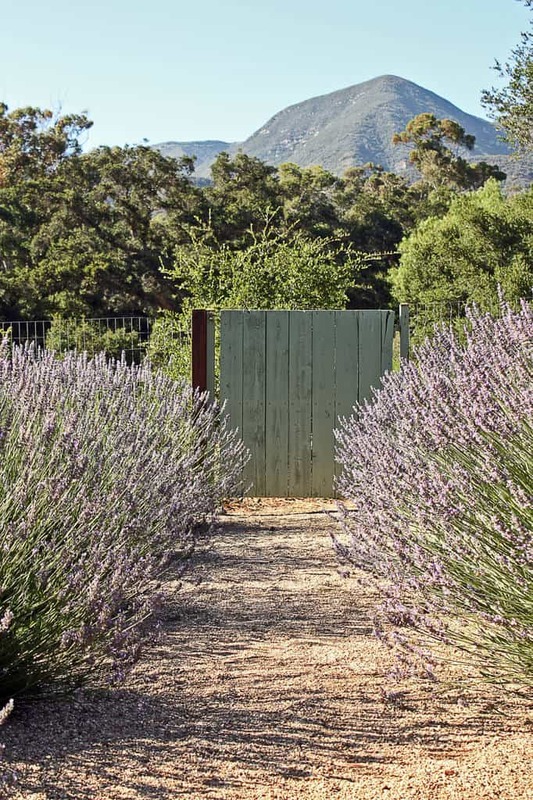 With great white flowers growing up and over the fences, you will love walking out here. 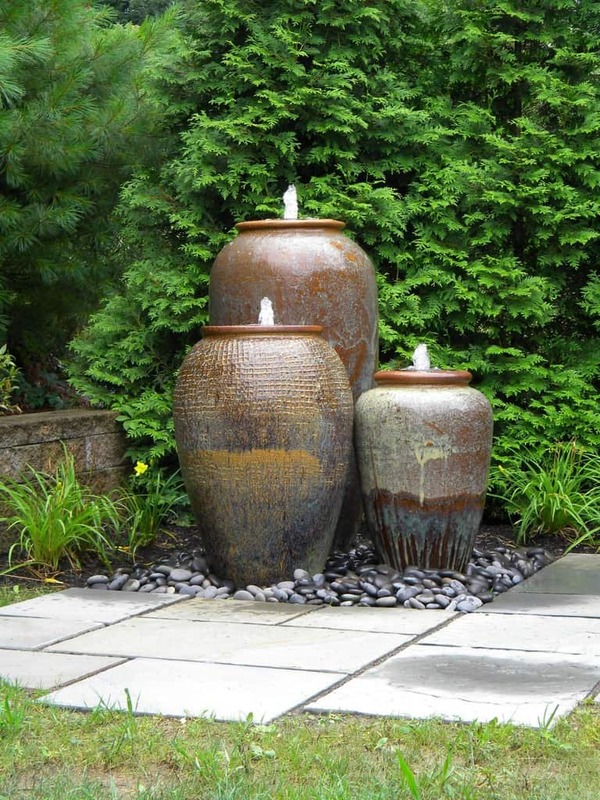 Coming up with unique ways to landscape can be tough, but these pots turned into fountains are a really great design idea. 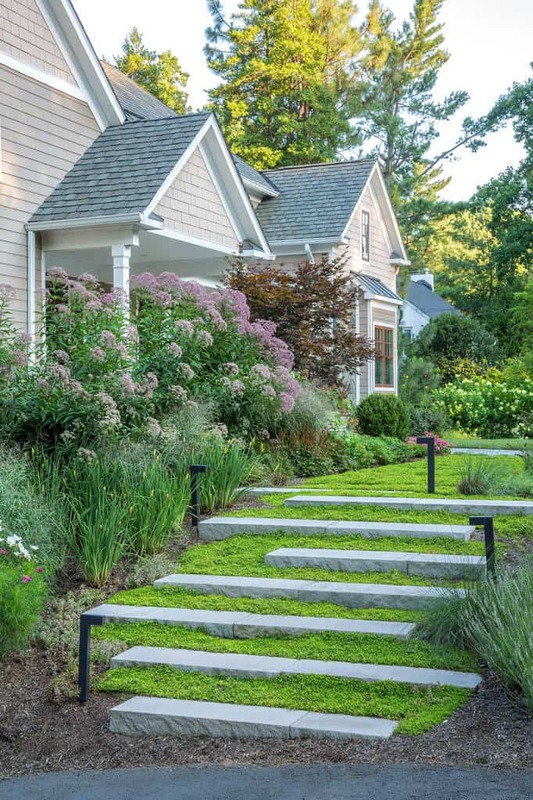 This landscaping just fits right in with the style of this house. With wonderful layers and great color, this yard is teeming with life. 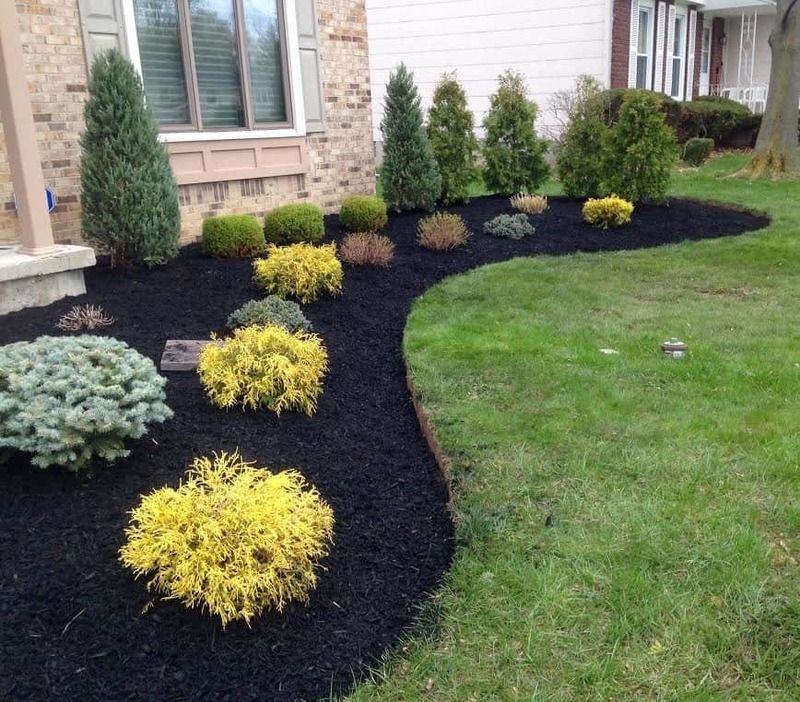 Using darker mulch around the house is a great way to contrast with the colors of the plants.